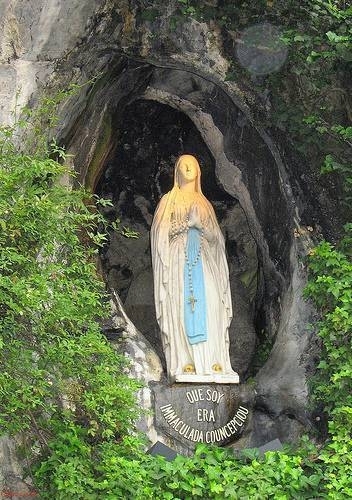 An bright red orb appeared near the Madonna statue of Mother Mary at the Lourdes Grotto. What does it mean? 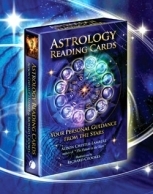 Astrologer interprets the planetary energies and Diana Cooper comments. This amazing photograph of a rose pink orb was taken in the Grotto at Lourdes where the apparition of Our Lady, the Virgin Mary appeared for the first time at Lourdes in France. The Orb has since be authenticated and commented on by Diana Cooper, the famous author and spiritual guru. The first appearance of Our Lady can be considered a beginning or `birth` in astrology – a moment in time when she connected with the fabric of this dimension. A chart or horoscope drawn up for that day will show what her appearance is for. What her purpose and destiny are all about. Before Our Lady came out of the Ether and into our existence, she had a Virgoan experience of modest, humble and quiet service. She had remained separate and un-touched in some way, centred to herself. She had dutifully tended a sacred fire or flame of some kind, with dignity, respect and humility. As she appeared into our dimension in 1858, her destiny was to become associated with the redemption, martyrdom and euphoria of a much bigger `world` stage. She would still be involved with endless compassion and devotion, but now she needed to take this message into a much bigger arena - the collective conscious of mankind. Her message is a visionary Pisces message of eternal devotion, sacrifice and forgiveness for the human race. This much we know anyway, and astrology simply confirms it. But astrology then tells us more......it tells us of Mary herself. She symbolises the Aquarian dream of a perfect and immaculate cosmic system. She conduits or acts as an agent for higher divine wisdom and the Universal Mind, which can make her feel separate, cool and distant. She personally idealises the un-emotional concept of a perfect, mathematical, harmonic and …dare I repeat……immaculate Universe. These two energies, the Pisces and Aquarian ideals, aren`t always compatible, but I guess that`s for her to sort out! There is another significant energy in Our Lady`s `birth chart` worth noting, and it is that of Venus. Venus is a symbol of our self-worth. The L`Oreal slogan of “Because I`m worth it” comes to mind. With Venus we can recognise and give ourselves something of joy and value. We desire, and find something beautiful. Venus has the symbol of the Ankh, the Giver of Life, which the Egyptians believed could restore them after the darkest of journeys. Self-affirmation and self-loving can do this. Venus/Aphrodite is also very much about loving another as well as loving ourselves. But again, the Aquarian ideals in Mary`s chart give this love a humanitarian brotherhood flavour, and she would personally be more isolated. She sees beauty in an immaculate and perfectly functioning system. When I compare the horoscope of Our Lady with a chart of the planets for when the photograph was taken I could instantly see an extremely strong link between the first appearance of Our Lady back in 1858, and then the Orb in May. One where destiny and karma are involved. The astrology of the Gill Barnes/Lourdes Orb suggests that it is a wake up call! 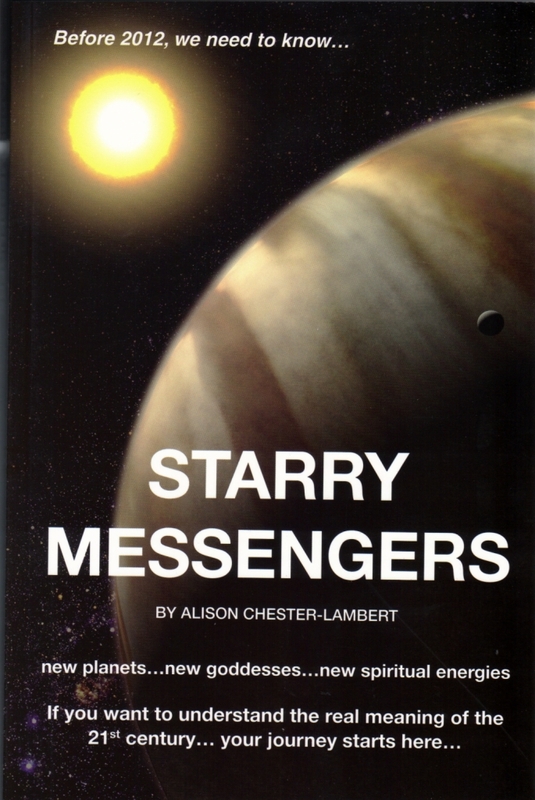 The original message of Our Lady - as told by the planets on 11th Feb 1858 - is being woken up. First we have to understand the 2 energies acting on Mary`s chart at the time of the Orb. What are they about? In astrology, these `energies` are called planets…..and we use the names given to them by the ancient Greeks and then Romans, over 2,000 years ago. The 2 energies are called Uranus (or Ouranos) and Jupiter (or Zeus). Ouranos is the grandfather of Jupiter in myth. The God of the Bible can be compared to Jupiter/Zeus. Jupiter hurls thunderbolts and exercises arrogance and demands of homage. Jupiter is the supreme god of the heavens, but he rules over a world that had been brought into existence by his grandfather. Astrology suggests that Divinity does not stop with the Judaeo/Christian God. The Solar System suggests what is behind this god, in `higher` divinity….or perhaps it is a higher layer of this same god?……..I`ll leave this up to the reader…..
Uranus represents an energy that is so distant or removed from us that we struggle to understand it. It is the supreme overriding logic or structure of existence. The reason Why. It`s something like a geometric or higher system that provides the infrastructure for existence. Without emotion, without feeling. A concept of perfection. In astrology, when Uranus is involved in an event we can expect a sudden revelation. An awakening or enlightenment. When we have a Uranian moment we are suddenly compelled through a vision to break out and strive for something more perfect. Uranus can liberate our deepest wishes. It is a cosmic, eureka, enlightenment moment. Uranus connected with the energies and meaning of the Lourdes Our Lady on Thursday 10th May 2007 and awakened a message, he revealed something enlightening, and he did this with the help of Jupiter. So let`s look at what Jupiter represents, and how he also helped bring the Orb into manifestation. Jupiter delivers potency and confidence. He is associated with guardian angels, protection, confidence and empowerment. He sees the vision and potential of something and urges `go for it`. When he is involved we have no worries, we feel wrapped in divine benevolence. We trust and we just KNOW, as in Gnosis. He gives us advanced spiritual philosophy and knowledge. We want to grow and move towards the TRUTH. He represents a portal to the wisdom, spirit and fire of God. Imbued with this wisdom and spirit, we can believe in ourselves and the God-ness within, climb over the barriers of fear and move into a superior, higher awareness. He unleashes potency, faith and insight. The day Gill photographed the Orb on the 10th May 2007. In the heavens that day, Jupiter and Uranus were moving into a relationship with each other that results in an action. An event. They were causing each other to DO something. And they had a target. They hit on the part of Mary`s chart that describes the message of her whole life - her fate, karma or destiny. They were going to release this message, and the outward manifestation of this was the appearance of the Orb. As for Our Lady herself, astrology is able to indicate very clearly what she was experiencing on that day in May 2007 when the Orb appeared. Mary would have felt an over-whelming awareness of compassion, sacrifice and redemption. A feeling of blending and fusion with all the pining, longing and yearning in the Cosmos. Her preferred separateness was being dissolved. Her ideals of immaculate universal design and perfection were being washed over by an increased sensitivity to the plight of the collective human soul, and her personal will and energy would be sapped. A greater need than her own overwhelmed her. What do the Cosmic Indicators of 10th May 2007 tell us about Mary`s Purpose? Her chart indicates she is given a mystical instruction to join in compassionate redemption, healing and sacrifice with the human race instead of remaining isolated within the perfect Uranian dream. She was instructed to take up her Pisces message rather than her Aquarian ideals. Pisces, and it`s ruler Neptune, are even `higher` again than Uranus and Aquarius. It represents the Cosmic ocean, the original Source, the primordial water or maya out of which all life sprang. And the Neptune message is the final Zodiac message of total dissolution back into Oneness with the great white light of bliss, fusion and sublime oblivion. Some say `to go `home``. The Pisces urge is for absolute redemption, forgiveness, compassion and fusion. To be emerged in total and un-conditional loving. The `birth chart` of Our Lady says her destiny and purpose is very much about becoming wrapped up with human compassion, forgiveness, loving and healing in the energy of the Universal Mind of God. Astrology says she was released to her purpose in May 2007, I think she can help us all towards a very bright future! After reading this article the very gracious Diana Cooper sent me an e-mail declaring it to be `of wisdom`, `fascinating and revealing` - comments which I feel very honoured to receive! She has written a 300 word precis, and this will appear in her book `Ascension Through Orbs`. I recommend everyone buy a copy! Diana feels that it is Mother Mary herself, merged with Archangel Zadkiel, and when someone looks at this Orb, it helps them to awaken, open and activate their Soul Star chakra. She described in detail the journey involved, which involves the opening of 33 gates. Passing through these is the entry to Christ consciousness and to the cosmic heart. The journey entails entering each gateway for each one expands your level of love, until you love humanity as a whole. Archangel Mariel helps develop the feminine aspect of this chakra. To learn more of this journey, I suggest you buy the book!